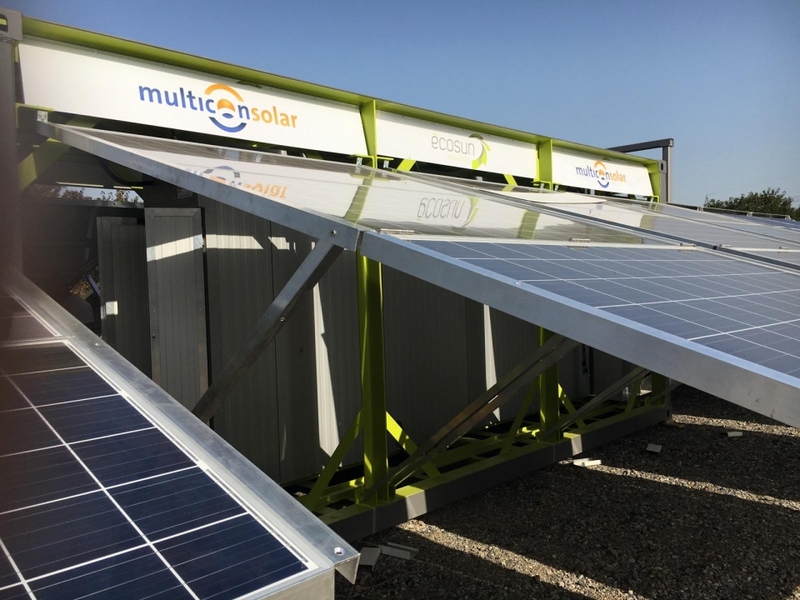 Independent Green Grid (Off Grid Solution) for military and civilian applications with 52 KWp Pure Solar Energy and up to 150 kWh Battery storage.The Multicon solar-container is a substitute for fossil fuel based generators. 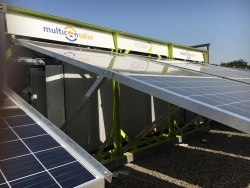 The system is completely silent and environmentally friendly with absolute 0% CO2, GHG emissions.It is also easy to operate and maintain.After just a short setup time, the Mobile Solar Energy Station starts to power your location.It is perfect for camp sites, field hospitals, disaster areas, and humanitarian relief efforts. It is also suitable for any military application because it operates in total silence to power military camps, air bases, charging stations, and radar stations 24/7 like a clock.